An interesting kick will hit the sneaker market today as Jordan Brand releases a new edition of the first ever Air Jordan kick – the Air Jordan 1. Set to be available today in Nike retailers is the Air Jordan 1 Retro ’89 “Fire Red”, which is officially listed as the Fire Red/Black-Cement Grey-White colorway of the shoe. 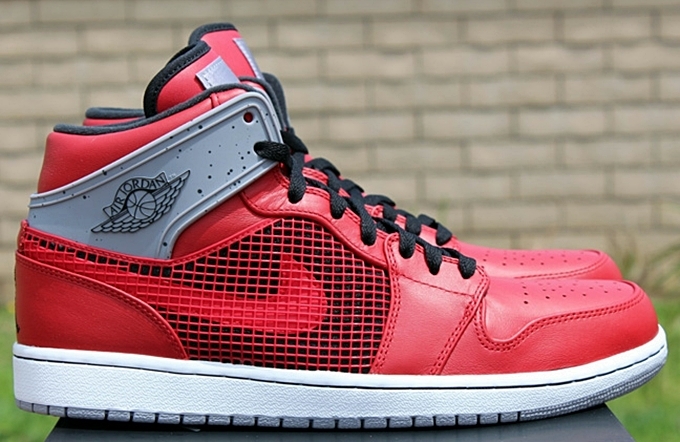 This kick, which was said to be inspired by the Air Jordan IV “Toro Bravo” will retail at $130 per pair. Make sure to check this out immediately!